Also, there will be no new ep of TORT tonight. We will be back next week. 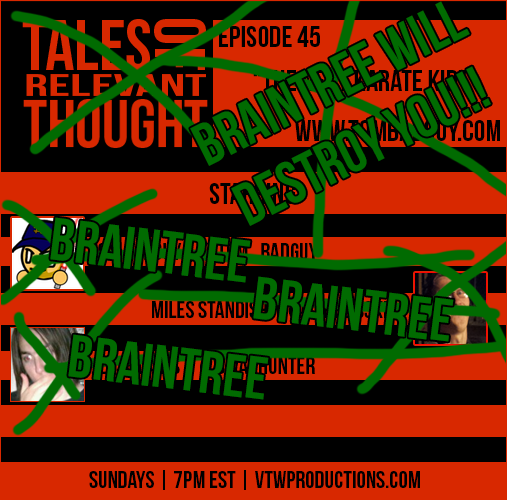 Enjoy the BRAINTREE.